Utah Animal Rights Coalition (UARC) is celebrating today after the United States Federal Court for the District of Utah declared Utah’s “ag-gag” law unconstitutional. 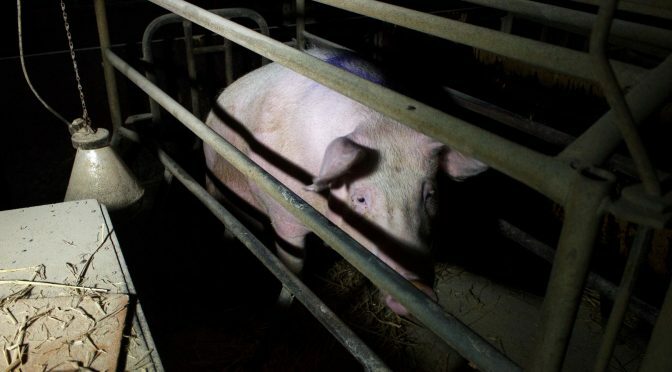 Utah’s ag-gag law made it a crime punishable by imprisonment to photograph or record abuse of animals on factory farms. In his decision, Judge Robert J. Shelby stated that this law was a clear violation of our First Amendment right to gather information and speak out on matters of significant public interest. Judge Shelby noted in his decision that Utah and other states only started passing these laws after animal advocacy organizations filmed horrific abuse at some of the nation’s largest factory farms. One investigation showed sick cows being abused and slaughtered, which led to the largest meat recall in U.S. history, including thousands of pounds of beef that was being served in Utah public schools. UARC encourages Utah state legislators to start working to stop the unconscionable abuses and public health crises, rather than crafting unconstitutional laws in a pathetic attempt to shield one particular industry from legitimate public criticism. UARC and the animals are indebted to the wonderful attorneys who litigated this case on behalf of the plaintiffs, including UARC Director Amy Meyer. These attorneys include Matthew Strugar, Justin Marceau & Alan Chen of the University of Denver, Stewart Gollan of the Pioneer Justice Center, and Matthew Liebman of Animal Legal Defense Fund.